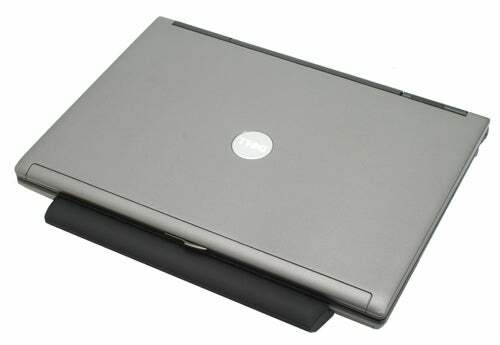 13.27" x 9.37" x 1.26"
If you visit a financial district or attend a corporate conference, you're bound to find someone carrying around a Dell Latitude D630 (Green PC). This lightweight business laptop competes with the Lenovo ThinkPad T61 Widescreen and the HP Compaq 6910p; all three share similarities like a 14-inch widescreen, highly configurable Intel parts, and terrific battery life. Bolstered by a long list of green credentials, the Dell Latitude D630 business laptop can be configured in countless ways to benefit your company. Dell's popular Latitude D620 deservedly won many plaudits and awards with its excellent blend of features, price and performance. The question for Dell was, when the time came for a refresh would it be able to make its successor just as popular with the corporate buyer? The answer seems to a resounding yes, and the D630 seems destined to carry on what the D620 started. Intel's latest mobile technology, code-named Santa Rosa and now known as Centrino Duo, was the catalyst for the refresh and in the time-honoured fashion of "if it ain't broke don't fix it", Dell just jacked up the D620, removed the old chipset and CPU and replaced it with the Centrino Duo parts. Our review sample (E-value Code UKBSDONL-L07632) is the flagship of the 630 range coming with an Intel Core 2 Duo T7300 processor running at 2.0GHz with 4MB of L2 cache and an 800MHz FSB. 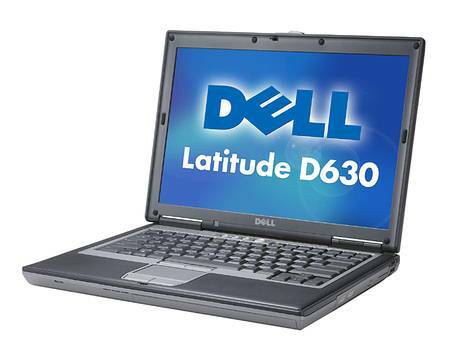 Following its successful Latitude D620, Dell hasn't changed the formula much for the new D630. Physically, they're almost identical, with everything encased in a sturdy, all magnesium alloy chassis that has the same, subtle, grey-speckled colour. And at 2.4kg with the standard battery, but excluding the power adapter (2.85kg including), it will suit frequent travellers. Although there's little new in terms of aesthetics, the innards have been turbo-charged with Intel's latest Santa Rosa platform. It's Dell's first notebook based on the new platform, which you can read more about in our Zepto Znote 6625WD review. Inside there's an Intel Core 2 Duo T7300 processor with 4MB L2 cache and an 800MHz front side bus (FSB) to speak to the 2GB 667MHz DDR2 Ram. Packing mobile broadband, a host of security options, and a sturdy design, the Dell Inspiron D630 is a top-notch business notebook. The Dell Latitude D630, the update to the very popular D620, packs in all the essentials needed to keep road warriors productive on the go: a speedy Intel Next Generation Core 2 Duo processor, excellent Wi-Fi throughput, and blazing-fast mobile broadband, courtesy of Verizon Wireless. Factor in the rich security options, the 120GB hard drive (with Dell's patented StrikeZone shock-absorption technology), solid battery life, and discrete Nvidia graphics, and you have an excellent notebook for demanding business users. The D630 sports the same ergonomics that we loved about the D620: a pointing stick, dedicated volume and mute buttons, and a roomy, spill-resistant keyboard with minimal flex. The short time spent with the laptop was enjoyable. Would I still order from Dell? Without a doubt, but this time I would pick the machine to be bundled with 2GB and forget about this moronic idea of saving money. There are some things I wish could have been included or modified but the Latitude D630 is a solid machine that I would recommend to anyone. The good: Strong performance; long-lived nine-cell battery; sturdy construction; bright display; comfortable keyboard; corporate-level security, including smart card reader; WWAN available as an option; lengthy three-year warranty. The bad: Somewhat heavy for a thin-and-light notebook; native screen resolution makes icons and text look small; fingerprint reader decreases mouse button size. 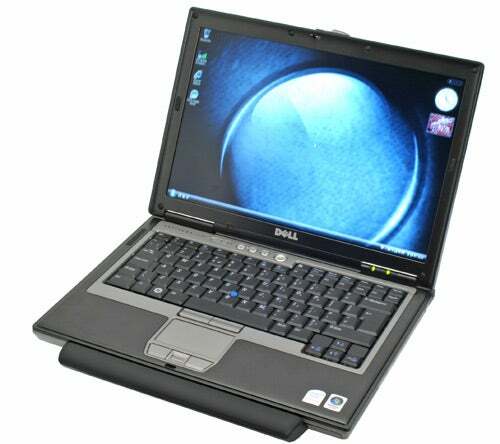 The bottom line: Corporate users can't go wrong with the Dell Latitude D630, which integrates Intel's latest mobile platform with a business-friendly feature set and lengthy extended battery. Bottom line: The Dell Latitude D630 is a portable midrange business laptop with an appealing design that will land you some performance benefits. Pros: FireWire support. 85-Wh battery lasted awesomely long. High-res screen. Travel-friendly; Cons: Battery design will not be compatible with older Latitudes. Sneller met Intel Turbo Memory?